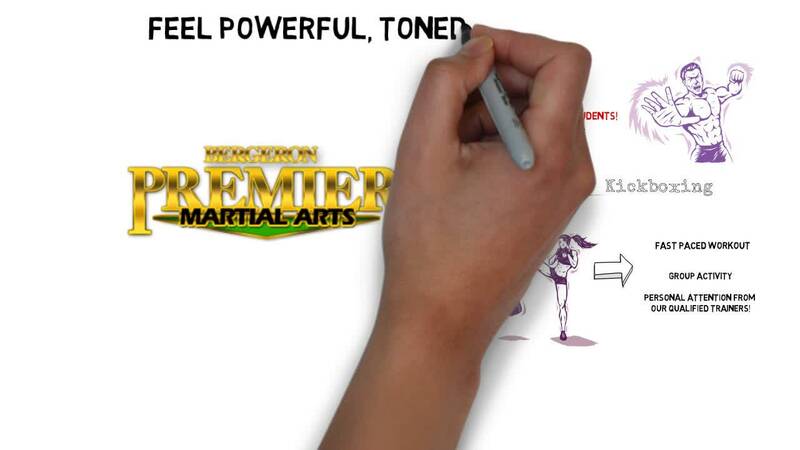 KICKSTART YOUR FAT BURNING FURNACE WITH BERGERON'S KICKBOXING IN OTTAWA! If you're looking for the one workout that promises to get you in great shape and burn off the ugly fat and flab, you don't need to look any further then Bergeron's Martial Arts Kickboxing Fitness classes in Ottawa! When you take our kickboxing fitness classes you're guaranteed a high energy, calorie crushing workout that will give you the head-turning body you've always wanted. What's more, you'll be learning one of the best self-defense programs you could ever want to know! At Bergeron's Martial Arts in Ottawa you will be working with some of the best Black Belt Muay Thai kickboxing instructors anywhere. We'll push you to your limits as we work every major muscle group from head to toe. And while we do, you'll be getting a strength-training and fitness conditioning program that's second-to-none. We guarantee that you'll love the fast pace of our kickboxing classes. With your very first class, we'll have you kicking and punching heavy bags and pads for a heart-pounding workout like you've never experienced! If you finally want to get into the best shape of your life, then you need to check out the kickboxing fitness classes at Bergeron's Martial Arts . And, now for a very limited time, we've just made it easier than ever for you! When you register with us before the end of this month, you can take advantage of our huge discounts off of our regular new-member rates. To get started, simply complete the brief, no-obligation contact form right here on this page. That's all there is to it. When you do, we'll lock in your super-low new-member rates, and we will rush you all of the information you need to take advantage of the Kickboxing Fitness classes at Bergeron's Martial Arts!